Born and raised on a farm in Northeast Arkansas, the son of R.D. and Faye Wallace, David Wallace's love of aviation began in the small town of Leachville. As a boy, he was mesmerized by the bombers and other aircraft which often flew only 500 feet over his family's home en route to Blytheville Air Force Base. After High School, Wallace attended Arkansas State University in Jonesboro where he received Officer Training. Upon graduation from ASU in 1970, Wallace entered active duty during the height of the Vietnam conflict. Shot down twice during some of the war's most vicious fighting, his repeated acts of heroism typify a driven patriot, a man who would again and again go beyond the call of duty to save the lives of his fellow soldiers. Wallace served as a Lieutenant in the First Calvary Division's Task Force Garryowen, which garnered his division a Presidential Unit Citation for combat action during the bloody Easter Offensive of 1972. Platoon Leader and Aircraft Commander of a flight of 4 Cobra helicopters flying support for a besieged south Vietnamese outpost in bad weather and enemy anti-aircraft fire, Wallace and his men successfully destroyed one target after another, resulting in the rescue of the outpost and sending the enemy into full retreat. Wallace is credited with having fought until the last five minutes of the war in 1973. 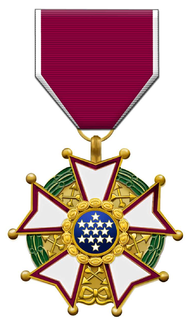 Rising to the rank of Lieutenant Colonel in Vietnam, Wallace earned 3 Distinguished Flying Crosses, 1 Air Medal for Valor, 2 Vietnam Crosses for Gallantry, and 1 Vietnamese Honor Medal. He was awarded the Legion of Merit, The Bronze Star, and 18 Air Medals. Having served in the military for twenty-one years, he was inducted into the Arkansas State University ROTC Hall of Heroes in 2010. David Wallace and his wife Karen live in Leachville, Arkansas, and are the parents of two children, Jason and Kelly Wallace. No stranger to disaster, Wallace now operates a disaster restoration company and has been instrumental in clean-up and rescue operations after major storms have impacted the Southeast.